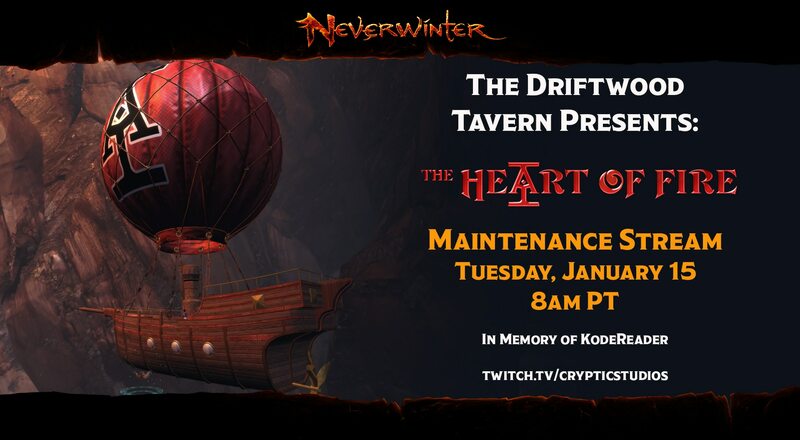 Join us on Tuesday, January 15, for the release of The Heart of Fire on Console! During the stream we will be providing maintenance updates and catching up on the latest Neverwinter news. This stream is dedicated to community member and streamer KodeReader, who passed away on January 1.